FIRE – Its discovery ensured our survival, yet we constantly strive to control its power. If you handle flammable or hazardous fluids you are no doubt already operating stringent safety procedures and practices. Unfortunately any process or piece of equipment is only as strong as it’s weakest link. Flexible hoses form an integral part of the petrochemical industry, yet in all but the most critical of applications, the fire retardant ability of the hose is never questioned. Dantec, however, is the only composite hose manufacturer that has the solution, pioneered by Formula 1. Dantec developed the Fire~Safe vapour release system, the ultimate in fire safe fuel and chemical transfer hose technology! Fire~Safe guards against attack of a small fire establishing itself and remaining undetected. It will not combust even with temperatures approaching 1200°C. 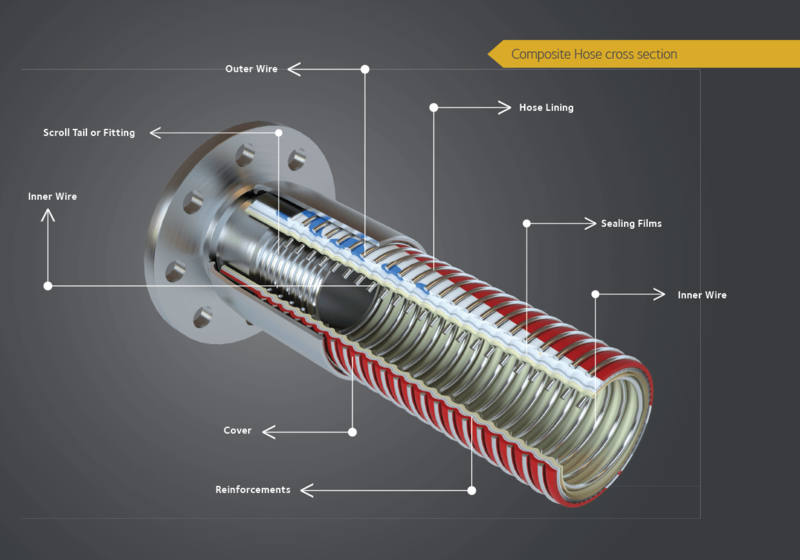 Fire-safe composite hoses utilise a series of non-asbestos barriers to conductive and radiative heat to achieve outstanding fire-retardant ability. With fire-safe hose, after thirty minutes of severe fire attack, the hose carcass is still intact and capable of holding product. From a fire fighting and personnel point of view, this is a critical factor. A severe situation is where hot, vaporising fuel is violently deposited onto a running or spillage fire; a situation made worse when water is involved, often resulting in catastrophic effects. Even after loss of integrity, fire-safe hose will not fail catastrophically. Instead it will gradually burn off the product as it presents itself to atmosphere. In addition to testing the hose at our Moreton factory, the fire-safe hose has been independently tested by the British Government Department of the Environment, Fire Research Station and the Swedish Fire Service. Copyright © 2018 Dantec ltd. All rights reserved.